The Cayuga Economic Development Agency (CEDA) was formed in 2009 and then added two new specialists in 2014, the Economic Development Specialist and the Business Development Specialist. Over the past four years, CEDA has aided with the startup and growth of numerous Cayuga County businesses. 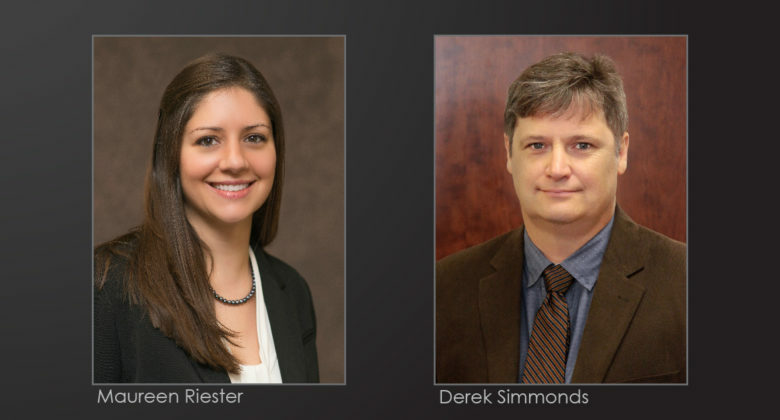 After recently redefining these two specialist positions, we are pleased to continue this business assistance with the addition of a new staff member, Derek Simmonds. Maureen Riester is also continuing as one of CEDA’s specialists, but with a new focus. Derek is filling the Business Development Specialist position. Prior to CEDA, Derek spent five years at Seneca County Cornell Cooperative Extension working as an Agriculture Economic Development Specialist, where he advised farmers and agricultural processors on business issues and organized the Finger Lakes Craft Beverage Conference. Before that, he worked at Onondaga County Cornell Cooperative Extension for two years as a Food Systems Educator. Previously, Derek worked in Ecuador, managing a USAID project focused on diversifying livelihoods and building local capacity in a rural coastal community. He was also in Peace Corps Malawi, working as a Natural Resources Extension Agent. Derek holds a Master of Business Administration degree from the UMASS-Amherst Isenberg School of Management and a Master of Science degree from SUNY ESF. He grew up in the Auburn area and currently lives in the Town of Owasco with his wife and two children. As the Business Development Specialist, Derek focuses primarily on assisting entrepreneurs, startups, and existing small businesses. If you are a small or new business owner or entrepreneur, you may want to sit down with Derek to confidentially discuss your business idea, review your business plan, assess financial projections, or brainstorm your marketing strategy. A main part of his role is to connect these entrepreneurs and business owners with local resources and potential partners, such as accountants, lawyers, financial institutions, marketing firms, etc. One example of this is when Maureen, in her previous role, worked with Mike and Pam Parks to provide assistance as they were opening LB Lightning Cyclery in downtown Auburn. Mike and Pam wanted to turn their hobby of building, fixing, and restoring bikes into a small business, but were looking for some local guidance. Maureen assisted them by reviewing their business plan, connecting them with local events that could help to boost their business, introducing them to local professionals and bike enthusiasts, and connecting them with Cayuga-Onondaga BOCES’s Graphic Design & New Media class to have a logo designed. Derek will be continuing this work and we are confident that Derek’s local background and regional experience will be a great asset to Cayuga County’s entrepreneurs and small business owners. Maureen Riester has taken on the position of Economic Development Specialist. In this role, she will focus on retention and expansion of larger existing businesses, as well as business attraction. For the latter, she stays apprised of the available commercial sites and buildings and sells the benefits of expanding or relocating businesses to Cayuga County. She will be visiting the existing businesses throughout Cayuga County to assess their needs and challenges, and making the appropriate connections to local, regional, state or federal resources necessary for them to remain in the county and grow. Maureen’s work with DuMond Ag is a great example of how she can help introduce an existing business to new resources. About a year ago, Maureen assisted DuMond Ag with their business plan to expand and build a non-solvent soybean processing plant at their headquarters in the Town of Fleming. CEDA then helped them navigate the Consolidated Funding Application process to apply for an Empire State Development grant and Excelsior Tax Credits, which they were awarded last December. This award prompted them to put their plan for investment and job creation into motion. Knowing DuMond Ag would require more electricity at their location to power the new plant, Maureen connected them to a longtime client Doug Hirsh, who happened to have a vertical wind turbine on its way to a test site in upstate New York. Rather than putting it at the test site, it was an ideal partnership to erect the turbine in Fleming where the energy could be utilized and it might find a permanent home. Maureen is a Cayuga County native and graduate of RIT’s College of Business where she was a member of the business honor society, Beta Gamma Sigma. Her work history includes sales, marketing, account management, product management, and counseling. She is an active volunteer, serving on multiple local boards and committees including IGNITE and the Auburn SCORE Chapter. Her local upbringing, work history, and four years of experience as CEDA’s Business Development Specialist makes her a great resource to any Cayuga County Business. CEDA is actively working on new opportunities to create jobs and improve our quality of life in Cayuga County. Keep in mind that the connections CEDA makes and the assistance we provide may not always happen in a traditional way, so it is worth the time to make a phone call and see what might be available to help your business start or grow. While not every opportunity comes to fruition, it is important that we focus on every win that builds our community. Projecting a positive image is what will prove Cayuga County is the best place to start or grow your business. To start or grow your business, contact our specialists at mriester@cayugaeda.org or dsimmonds@cayugaeda.org. Published in the June 7, 2018, edition of The Citizen.